The early start to the County Championship season often leads to low scores and impacts overall averages in addition to creating a culture where the best top-order players have half an eye on securing a more comfortable middle-order berth. That said, with crisis comes opportunity, and there is no doubt that consistent scoring throughout the English summer will be rewarded with serious Ashes consideration. In a similar vein to the last article, let’s take a look at some of the names that are looking to force their way into the side. 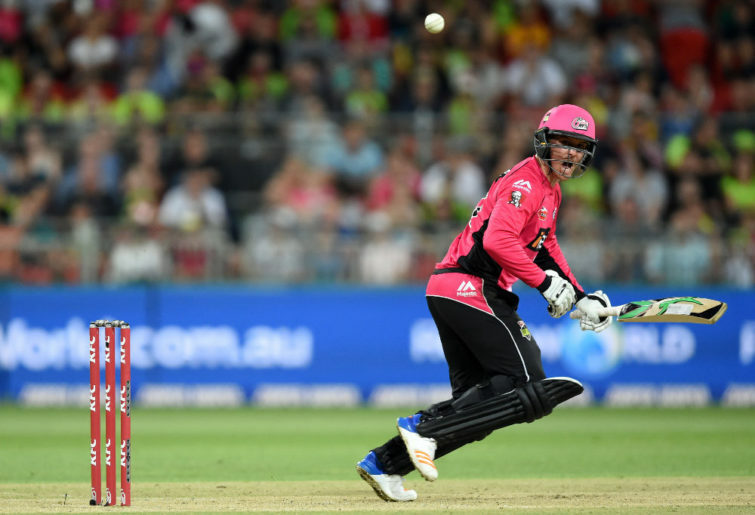 A bludgeoning opening batsman in one-day cricket, Roy has found some success in the longer form of the game, where he has predominantly operated in the middle order. His first-class strike rate of 82 is near unprecedented and is indicative of his swashbuckling approach, which is based on strong driving down the ground and scything front foot pull shots. Due to a packed middle order calls for Roy’s selection have centred around a berth at the top of the order, which would surely test the technique of such a free-flowing player. While the obvious suggestion may be David Warner, Roy currently lacks Australian’s compact technique and temperament. He can, however, be compared to another big-hitting Australian opener in Aaron Finch. Will he get a game? Roy barely played a county match last season, but this has not quelled calls for his addition, and with the inclusion of Jos Buttler the selectors have shown that county appearances are not necessarily a prerequisite for Test selection. A productive World Cup will certainly keep his name front and centre come The Ashes. An attractive, free-flowing player, Pope appears a sparkling prospect. He cuts ferociously and, like many modern players, scores quickly all around the ground. Thrown in at No. 4 against India in 2018, his lack of experience was evident and resulted in some soft dismissals. This led to a swift removal from the Test side but did not appear to impact his confidence too much, as he finished the county season with 986 runs at 70.42. The game is filled with players who have briefly shone before being hit by injury or a loss of form, but at this point Pope is riding high. His slashing cut shot is reminiscent of Brendon McCullum and his offside driving has echoes of Ian Bell. This is potentially a series too early for Pope, who should really be given more time to mature and refine his game. That said, if he scores heavily and others fail, he is the player with the recent record most deserving of selection. Calm and uncomplicated at the crease, Hildreth has become one of English crickets nearly men. When in full flight it is difficult to understand why he hasn’t played a significant amount of Test cricket, but fierce top-five competition during the first decade of his career has led to him only truly being considered for Test selection in recent years. Hildreth can be punishing against spin. In addition to driving well on both sides of the wicket, he is an intelligent runner and has an elegance at the crease which can make batting look easy. He had another productive season in 2018 and would bring some much-needed stability to a flaky English top order. He’s an attractive player without excessive flourish or foot movement. There are elements of fellow first-class stalwarts Adam Voges’s onside play and Callum Ferguson’s offside driving within his game. He probably should have but, as Australian fans well know, the allure of youth can cost these types of consistent, over-30 players. He has been a part of England Lions squads for years and would be deserving of a call up if it came. He looked every inch a Test cricketer throughout his appearances against India in 2016 but has struggled since. Hameed could as easily be in the second XI for Lancashire come the first Ashes test, as he could be walking out to face the Australians. He had a terrific 2018 under the watchful eye of Jason Gillespie. Rhodes is a talented young player who will have to demonstrate that he can deliver on a consistent basis. He’s one for the future. It is hard to believe but Bell is still going strong on the domestic circuit, putting together a 2018 season which included five centuries and over 1000 runs. He is injured at the moment and this has surely put an end to any potential discussion of Ashes selection. County cricket fans are lucky to still be able to watch him play.